The pursuit of the best low light camera may drive you total nuts due to the abundance of available options. This is an investment that can either hit the bull’s eye or may go completely awry. And considering the amount at stake, it gets even more baffling to select any single one. Therefore, to help you with it, we have listed here the best low light cameras from all price ranges to fit the requirements of an amateur to a professional. If you want the absolute best low-light camera with excellent noise reduction and some mind boggling picture quality at an impressive shooting speed, then you cannot get anything better than the legendary Nikon﻿ D5. Whether you are a professional or a photography enthusiast, the Sony a7 R II, with its mid-range price, a powerful image sensor, and extremely impressive low light performance will give you an otherworldly photography experience. With its powerful 30.4 CMOS sensor and ideal low-light shooting options, Canon 5D Mark IV is a full package DSLR that will fulfill all of your professional needs. 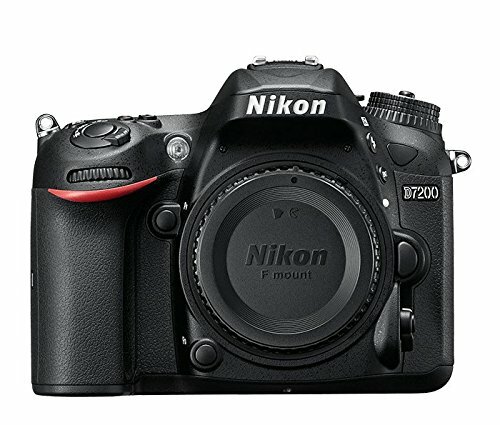 If you are looking for a great quality product that has been specifically designed to satisfy your low light photography needs while staying within an affordable price range, then you definitely ought to give Nikon D7200 a try. For those of you, who want extraordinary low light performance with all the other advanced features without surpassing your budget, then you certainly cannot go wrong with the Sony Alpha a6300. If you are a die-hard fan of low light photography, then you cannot get anything better than the incredible Nikon D5. With its huge ISO range that can be extended up to 3,280,000, this camera captures stunning images in low light, no matter how dark it is. The huge price tag of this camera is more suitable for you if you are a professional grade photographer as normal people don’t have a use for such an extended ISO range. However, if you can afford it then why not? The camera features 20.8 MP CMOS sensor and EXPEED 5 image processor that result in brilliant and exceptionally clear and crisp images. One thing that we didn’t like much about this camera is that it’s pretty heavy with a weight of more than 2 pounds. So, it’s not that convenient to carry it around without putting a lot of pressure on yourself. This full-frame DSLR is ideal for capturing sports events with its impressive burst speed of up to 12 frames per second. So, if you are in that profession, it’s about time you might start considering buying this beauty. Other astounding features of this monstrous camera include its 3.2 inches touchscreen LCD display with a resolution of 2.36 million dots and its 4K video capturing ability that can shoot 4K footage up to 30 frames per second. You will surely fall in love with its advanced autofocus system that features 153 focus points and 99 cross-type sensors. And above all, it uses a dedicated processor only for the AF. Second on our list of the best low light cameras is the Sony Alpha a7 R II with a much reasonable price tag than the Nikon D5 but with pretty impressive performance. Although, it’s not the cheapest of them all in the price but it is still affordable for a lot of people. Whether you are a hobby photographer or a skilled professional, you can go for it in either of the cases. 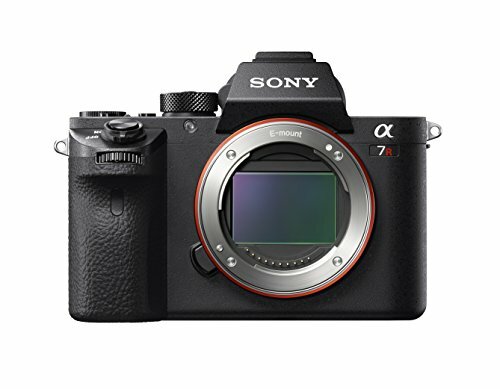 The Alpha a7 R II is a second generation full-frame mirrorless camera from the manufacturer, which has taken care of all the shortcomings of the first generation a7 and a7R cameras with its advanced features and technology. The camera offers a wide ISO range that goes up to 102,400, which makes it one of the best choices for low light photography. Forget using the flashlight because this camera produces stellar images in the darker scenarios. The burst shooting rate of the camera, however, is not that impressive at five frames per second. But, it does get compensated by the superior image quality that you get. The camera features a whopping42.4 MPCMOS sensor and improved image stabilization, which makes it too good for it price. You can record 4K videos without any pixel binning from thea7 R II. It also offers super-fast hybrid autofocus system with 399 focus points. The camera also has a weather sealing and an ergonomic design that makes it easy for you to carry it around without feeling too much strain on your hands. 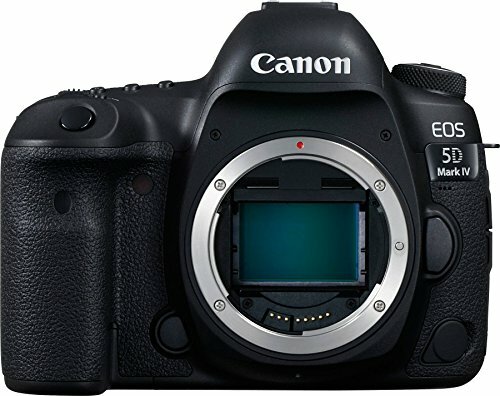 Another great camera for professional photographers for capturing breathtaking low-light images is the Canon 5D Mark IV. With its high resolution of 30.4 MP, which is a huge step up from its previous model Mark III that only had a resolution of 22.3 MP, the 5D Mark IV never fails to impress. The camera’s ISO settings range between 50 and 102,400, which capture striking images in the dark. You will find the autofocus feature of the camera equally impressive with 61 AF points. The camera lets you capture 4K video footage at both 30p and 24p. Sharing is no problem with the camera’s built-in Wi-Fi and NFC that let you share the freshly taken photographs right away. The burst mode of the camera is pretty good at the rate of 7 frames per second, which makes it a versatile camera for shooting in various situations. The camera is prone to get overheated due to heavy use, so this might bother you a little. And the price tag of the camera might also be a little bothersome for of you as it’s a bit on the higher side. The camera offers a fast autofocus with 61 AF points that deliver accurate and precise results. Apart from the AF points, the camera also features 41 cross points for extended vertical coverage. This full-frame DSLR delivers high-quality HD pictures while providing you an easy to handle portable design that can be used anywhere and anytime. For those of you, who had been looking a more reasonable option than the above 3, do not get disappointed at all, because the Nikon D7200 is definitely to going to take all your worries away with its pocket-friendly price tag. Now, do not for a minute think that if it is easy on your pocket, then it won’t be that impressive in performance because that’s just not it. 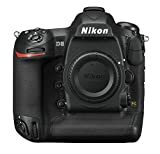 With its ISO settings that can extend up to 102,400, you will find the Nikon D7200 one of the best cameras for low light photography in this price range. The APS-C 24.2 MP CMOS image sensor of the camera with its fast EXPEED 4 image processor always give perfect results every time. The noise reduction on the D7200 is extremely impressive at higher ISOs as compared to most of the other cameras with APS-C sensors. However, one thing that might annoy you is that the screen is not touch sensitive unlike the majority of the cameras these days. But, if you can deal with it then you won’t find any other major shortcoming in this model. The autofocus system of the camera with 51 focus points results in precise and accurate details and its built-in sharing abilities save up a lot of your time. Want more affordable option that the Nikon D7200? No problem at all. 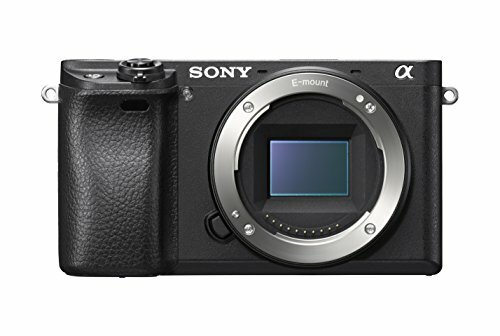 We have gotten that one as well in the form of Sony Alpha A6300mirrorless camera. When it comes to quality and performance, you can always count on Sony. While all of its Alpha series contains high performing cameras, this one especially caught our eyes because of its reasonable price and extraordinary low light performance. The camera features ISO range that can be extended up to 51,200. While shooting within the ISO range of 25,600, the camera brilliantly reduces the noise and results in incredible low-light photographs. Apart from excellent low light performance, the camera has some impressive features that include the world’s fastest AF speed at 0.05 seconds, a 24.2 MP CMOS sensor, 4K and HD video recording, and fast burst shooting up to 11 frames per second. Another thing that will make you fall in love with it, even more, is its sturdy magnesium alloy construction that not only makes it highly durable but also weather resistant. So, you can shoot in any weather and anywhere without any tension. And in case you don’t know it, Sony is considered to be a frontrunner in the mirrorless low light camera industry. Therefore we assure you that you can put your blind trust in this camera and it will not disappoint to in any way. However, the camera does have the tendency to get overheated in the sunlight, but that happens on heavy usage, and if you are sufficiently cautious about it, you can prevent it from happening. We all need to take photographs in low light every once in a while. If you are a professional photographer, then it would be more of a necessity for you. But is it enough to just buy a low light camera for it? Not really. No matter where you are planning to shoot, be it an evening on the beach, a night wedding or just natural landscapes, you cannot pull it off without having the basic knowledge about low light photography. The camera does play the major part, no doubt about that, but you need to learn to make some adjustments accordingly for achieving that perfect result. As most of you would already know, photography is completely dependent on light. 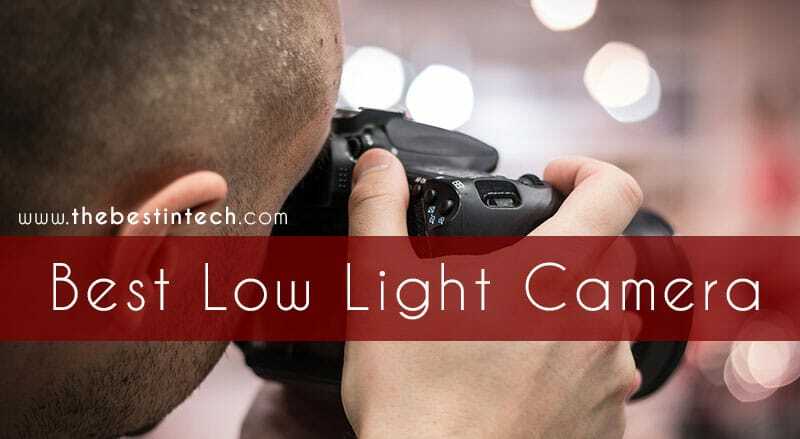 That’s why low light photography is quite a challenge for most of the photographers, because, the absence of light results in darker photos and poor picture quality. But, if you have a specialized camera for capturing low light images, the same situation suddenly becomes interesting by giving you so many options for using your creativity. Here are a few things that you need to take care of for capturing excellent low light images. The size of the sensor plays a major role in low light photography. The sensor is responsible for using the light to create an image. The amount of light it uses is dependent on its size. The bigger sized sensor uses more light while the small sized sensor uses less light. And needless to say, more light results in a brighter image without any need or usage of flash. Therefore, it is imperative to check the sensor size before making your purchase. The CMOS sensors are quite excellent at creating brighter images without costing you too much. Surely, the majority of you would know what this is but for those of you who don’t, ISO is a measure of the camera’s sensitivity towards the light that it receives from the sensor. The ISO range of the camera will give you the idea that how brighter your images can get. The bigger the range, the brighter the outcome. Therefore, choose a camera that offers an extended ISO range. That way, you will be able to capture even the darkest scenarios without using a flash. And while shooting in low light, do not forget to adjust the ISO settings to a higher level for achieving brighter photographs. However, increasing the ISO number may result in more noise in the pictures, so it’s better to shoot in RAW format so that you can easily take care of that later on. And for the same reason, do not set the ISO number to too high if it is not required. You can get excellent low light photographs while staying within the range of 1200 ISO. he aperture is the f/ value of the camera, and it controls the light that enters the sensor. A large aperture size allows more light to the sensor and vice versa for smaller one. But, it can be a bit confusing for newbies because the number and the aperture size are inversely proportional. A Smaller number means a larger aperture, which means that you will get better low light results at f/11 in comparison to f/16. As a general rule, always buy a camera with an aperture size of f/3.5 or below for good quality low light pictures. If the shutter stays open for a longer time, it lets the sensor receive more light and hence results in a brighter image. Therefore slowing your shutter speed will help you greatly in capturing great quality low light images. But, you have to be careful with your movements because even your tad bit movement will result in blurry pictures. So, it’s better to use either a tripod stand or to place the camera on an even surface while capturing photographs. And if you are going to click while holding the camera in your hands then do not lower the speed below 1/60. Increasing the exposure results in exposing the photograph to more light. Therefore, adjusting your exposure to the positive side will also help you in low light photography. With markets flooding with better and advanced cameras every single day, it is not hard anymore to find a good quality low light camera. However, most of the people only rely upon the sensitivity of the camera to measure their low light performance and do not take into consideration the other important points. And that’s where they make a mistake in choosing. While sensitivity has the major role to play here, you cannot deny the importance of other features like the sensor size, processor, shooting speed, noise reduction abilities, etc. Therefore, in our featured list, we have carefully picked the best low light cameras that do not just have extended ISO ranges, but they offer overall excellent performances. Hopefully, all of your confusions would have been cleared by now, and we are sure that now you will be in the position to take the best decision for yourself.